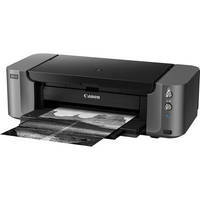 Over the past few years, professional-caliber photo printers have come a long way, and today’s top models can turn out large prints of impressive quality rivaling those made by the high-end printing services catering to commercial and art photographers and demanding enthusiasts. The latest pro-grade inkjet printers all offer pigment-based, multi-cartridge ink systems with multiple monochrome inks for superior reproduction of blacks, have extremely fine ink delivery nozzles, and can turn out ultra-hi-res color prints in sizes of 13 x 19 inches and up. Many also provide advanced features such as state-of-the art processing engines, built-in or optional software and management tools, vacuum feeders to keep media flat, color LCD monitors, and multi-channel wireless connectivity. Another class of pro-level printers: high-volume dye-sub models mostly targeted at commercial users. These high-end dye-sub printers deliver sizzling speed, but they can also turn out prints of impressive quality at slower printing speeds, albeit in smaller print sizes. To give you a good overview of what’s currently available out there in printer land, we’ve selected some of the best-performing, most popular high-performance printers on the market and described each one in detail below. 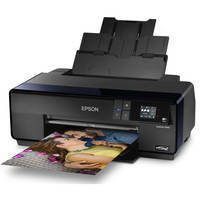 All are great choices for making prints that will truly showcase any photographer’s best work. Able to accommodate print media up to 24 inches wide and deliver large-size exhibition quality prints with a maximum resolution of 2400 x 1200 dpi, this cutting-edge unit employs Canon’s FINE technology, a large 1.28-inch-wide PF-10 12-channel, 27-sensor print head, and a 12-color LUCIA PRO pigmented ink set with Chroma Optimizer to achieve exceptional results. Its high-precision mechanical design enables printing with matte black or photo black inks with no switching required, and there’s a built-in color densitometer with 3-color LEDs and a condenser lens to maintain peak performance over an exceptionally wide printing range. Other features include a Sub Ink Tank system to maximize ink use efficiency, L-COA Pro high-speed image processing engine, Device Management Console software enabling remote calibration and print status checks for up to 50 units, compatibility with large capacity ink cartridges ranging from 160 to 700mL, 320GB Hard Drive compatible with PC or Mac, and 16-bit Print Studio Pro software that interfaces with Digital Photo Professional, Adobe Photoshop and Lightroom, and features roll paper preview mode, batch edits, contrast reproduction, and favorites settings. Able to produce exhibition-quality prints up to 17 x 22 inches or borderless prints up to 17 inches wide, this advanced printer delivers an impressive maximum resolution of 2880 x 1440 dpi and uses a set of 9 UltraChrome HD ink cartridges to yield prints of exceptional color fidelity, as well as excellent black-and-whites. An optional roll holder allows the use of paper rolls up to 17 inches wide, a built-in auto-switching system automatically selects either matte or photo black ink for greater ink-use efficiency, and it provides an Advanced Black & White Mode for superior monochrome printing. 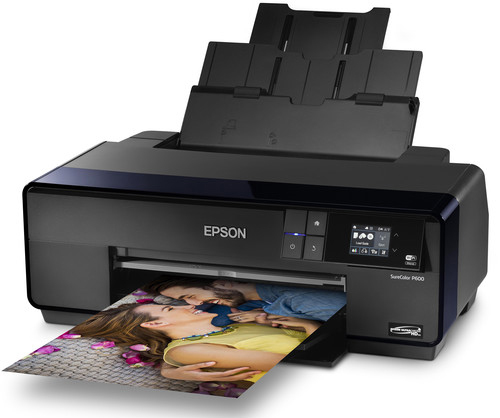 The P800 can turn out an 8 x 10 print in less than two minutes, employs an Epson MicroPiezo AMC Print Head that delivers droplets as small as 3.5 picoliters, and offers USB 2.0, Ethernet, and Wi-Fi connectivity for maximum flexibility. 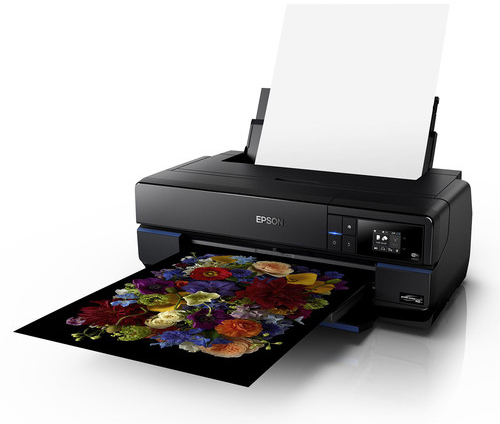 This outstanding professional photographic inkjet printer can turn out exceptional-quality prints up to 17 x 22 inches in just over four minutes, with a maximum resolution of 2400 x 1200 dpi, and borderless prints up to 17 inches wide. To achieve this impressive level of performance, it employs a combination of FINE (Full-Photolithography Inkjet Nozzle Engineering) a 50% larger print head than previous models, a 12-color LUCIA Pro pigment-based ink set that includes four monochrome inks, and a Chroma Optimizer for enhanced color consistency, and an advanced L-COA Pro Image Processing Engine. Other features: a two-way vacuum feeder to keep the media flat, USB 2.0, Ethernet, and Wi-Fi connectivity, Grayscale Photo Printing, a 3.0-inch color LCD monitor, and wireless PictBridge, Apple AirPrint, and Canon PIXMA Cloud Link for direct access to cameras, mobile devices, and cloud files. 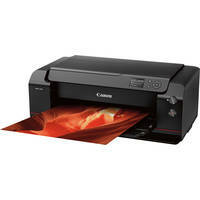 This high-performance wireless professional inkjet photo printer delivers high-resolution 4800 x 2400 dpi output with ink droplets as small as 4.0 picoliters, using Canon’s advanced 10-cartridge LUCIA Pro pigment-based ink set that includes three monochrome inks and a Chroma Optimizer for enhanced color consistency and reduced bronzing. It produces prints up to 13 x 19" of outstanding technical quality with saturated colors and rich blacks and grays, and is compatible with a wide range of papers including glossy, luster, matte, Museum Etching, and a variety of fine art papers. It can also print directly on CDs, DVDs, and Blue-ray Discs, enables computer-free printing via PictBridge, and provides Wi-Fi and Ethernet connectivity, allowing multiple users to print from remote locations. It can print a full color 8 x 10 in less than four minutes, and includes Print Studio Pro software compatible with Adobe Photoshop and Lightroom. 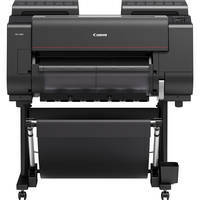 Able to produce pro-caliber prints up to 13 x 129 inches or borderless prints from 3.5 x 5 to 13 x 19 inches, this high-tech printer delivers an impressive maximum resolution of 5760 x 1440 dpi and uses a set of nine UltraChrome ink cartridges to yield prints of outstanding color fidelity, as well as excellent black-and-whites. A roll holder allows the use of long paper rolls up to 132 inches, and a built-in auto-switching system automatically selects either matte or photo black ink for greater ink-use efficiency. 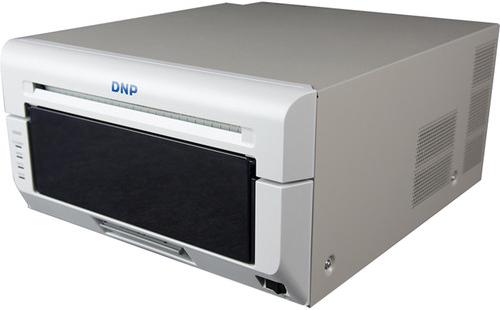 Other features: A 3.5-inch tilting LCD on the front panel for adjusting settings and checking printer status, a top-loading feeder and a front media path that accommodates specialty media, roll holders, DVDs, and CDs, and USB 2.0, Ethernet, and Wi-Fi connectivity. 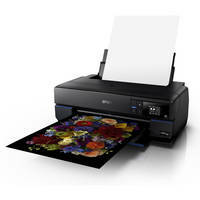 This professional-grade high-speed color printer can turn out a high-resolution 2400 x 1200 dpi, 22 x 34-inch print in as little as two minutes using a combination of HP Thermal Inkjet Technology, HP’s pigment-based 12-color Photo Ink Set that includes Quad-black Ink Technology, and a Gloss Enhancer. It also provides Professional Pantone color emulation and Adobe PostScriot and PDF support and features an imbedded spectrophotometer for creating ICC profiles. The Z3200ps also provides USB 2.0 and Ethernet connectivity. 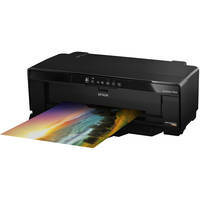 This economical high performance printer can turn out brilliant high-resolution borderless prints up to 13 x 19 inches (maximum printable area 13 x 129 inches) at an impressive maximum resolution of 5760 x 1440 dpi using an Epson MicroPiezo AMC print head, AccuPhotoHG Imaging Technology, and a set of eight UltraChrome HG2 pigment–based inks that includes red and orange inks for truer skin tones. Its auto-selecting black ink technology can shift seamlessly between matte and photo black ink channels yielding good results with a wide variety of matte and glossy papers, and an included CD/DVD tray allows users to create pro-quality discs at home. The P400 provides USB 2.0, Ethernet and Wi-Fi connectivity. It can turn out an 8 x 10 print in just over a minute, and an 11 x 14 print in less than two minutes. 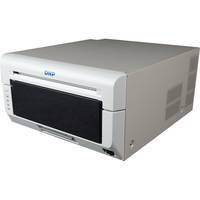 Targeted at commercial printing operations that need to turn out large numbers of quality prints with maximum efficiency, this printer provides a maximum resolution of 300 x 600 dpi, can print an 8 x 10 in as little as 29.3 sec, and can print in sizes ranging from 4 x 8 to 8 x 12 inches, and up to 8 x 32" with free downloadable Hot Folder software. 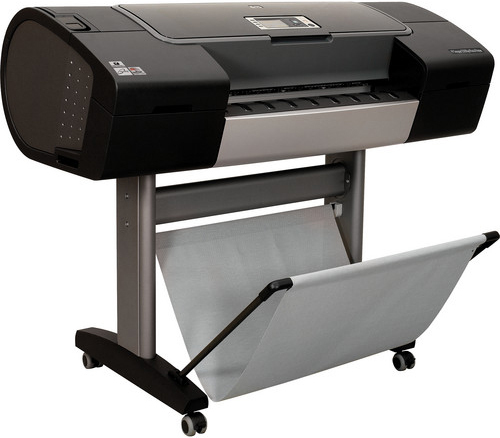 The DS820 also offers panoramic printing options, High-Speed and High-Quality Modes, can print on Gloss, Luster, or Flat surfaces, and provides USB 2.0 connectivity. What is your favorite printer for achieving professional prints? Let us know in the Comments section.